Aside from its famed Pawikan Conservation Center, Brgy. 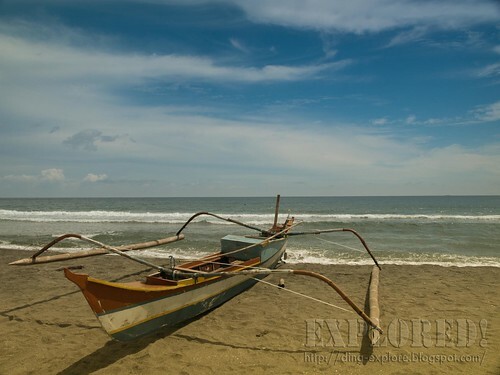 Nagbalayong in Morong, Bataan also boasts of its fine and pristine coastline and wide beach. Although not fit for swimming because of its strong undercurrents, it's rustic charm still awes the senses. 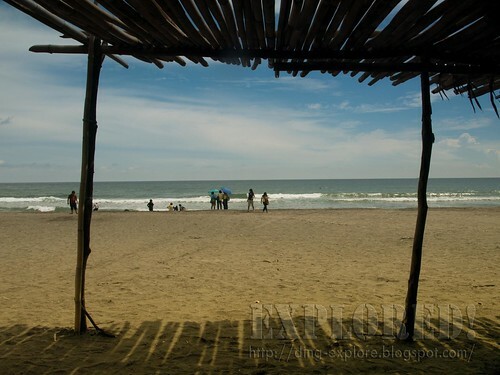 Nagbalayong beach, which is seven (7) kilometers long happens to be a nesting ground for pawikans (sea turtles). With nothing to do after a quick lunch during our visit to the Pawikan Center, I took a short photo-walk to capture what the place can offer. The sun that shone brightly was piercing into my skin, but I did not mind. It has been a long time since I have gone to the sea and feel its cool and salty breeze on my face. This fittingly reminds me of my short but frequent sojourns in Ragay Gulf working with the fisherfolks of Quezon. The smell of fish was like an aroma that opens the door to the memory lane--of the people I communed with, the rustling and swaying coconut leaves, the salty water crushing against the rocks on the shoreline that formed and took some shape with the passing of time, of the sea that heaves and recedes in cadence with every breath. 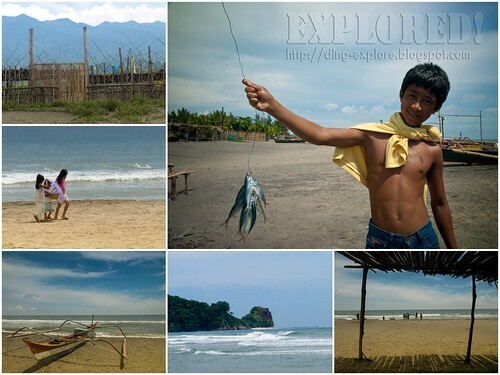 Nagbalayong is a fishing community and not your typical beach resort, but it offers many photographic subjects--nature and its people. Indeed, I was not wrong with my decision to take a walk. The scene was very typical of a fishing community--children walking along the beach selling some wares, boats docked on the shore, and people gathering around a fisherman who just came back from fishing--all of which were just perfect for some iconic shots I wanted. And I am glad the people are not camera shy. In fact, the boys were just so eager to pose in front of my camera and giggled afterward when I showed them their smiling faces on the screen! So I am sharing with you some of my photos. See more photos in my Flickr photostream. 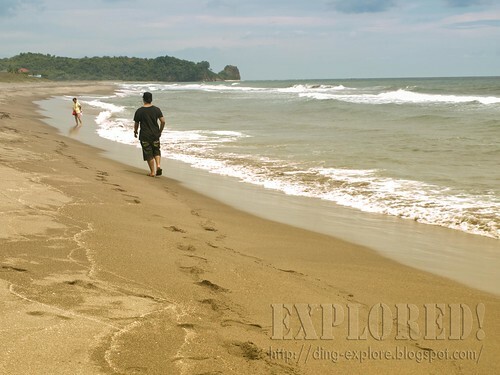 Some of my fellow Pawikan Conservation Center visitors walking along the beach. Taken from the shade outside the fence of the PCC. Boat parked on the beach. 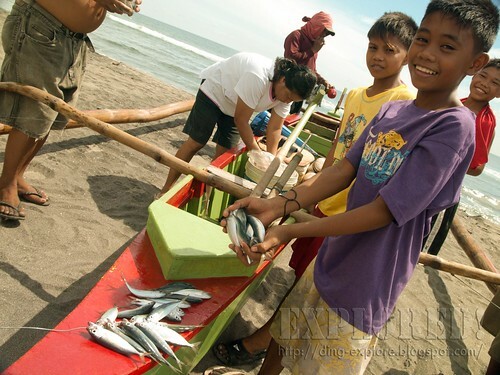 People gathered around this boat to buy fish and the boys asked for some freebies too! 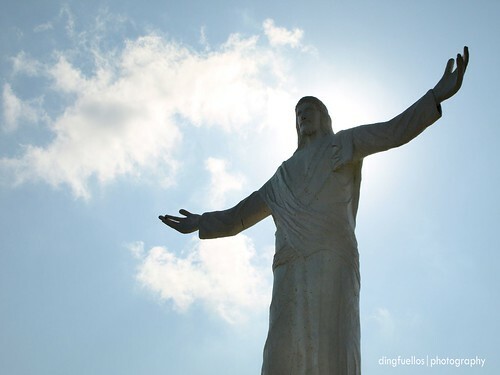 SNAPSHOT| How does Baguio want to be remembered?